When you start, getting a contract with a big company is a nice success. Provided you know how to be respected. Here are six points that need special vigilance. After knocking on the doors of the Vinci, Eiffage and other big names in construction to sell their services, Emmanuel Cazeneuve, the founder of Hesus (delivery of construction materials and waste disposal), armed with patience. A lot of patience. Between the first meeting with Bouygues teams and the signing of their order for a housing project in Alfortville, it has passed a year and a half, he says. Working with a big account is an enticing prospect for the turnover of his box. A quarter of purchases by major groups focus on SMEs (according to the SME Pact association). But we must remain cautious, because we face a multitude of interlocutors can change any time … or post! Frédéric Bouilhaguet, at the head of Resonate MP4, a video processing software, knows something about it. As he was preparing to land a contract with Thales for the Shanghai Metro, the local boss of the transport giant, with whom he was in talks, left for France before he had time to sign his contract. contract. White cabbage ! Two examples that illustrate the obstacle course that SME leaders must perform when they attack mastodons: a series of appointments in which it is necessary to prove each time every time, a decision process that is difficult to read and a picky logistics. “Not all companies are structured to handle large contracts. This requires a lot of people and a strong personal investment. Sometimes, it is better to temporize before launching, while waiting to be “staffed” in a sufficient way, warns Pierre Pelouzet, the mediator of the companies. The payment of bills is the nerve of war and your priority. However, if the payment period is supposed to be sixty days from the date of issue, it takes on average nearly eleven more days. It is therefore better to manage your cash flow and have an effective invoice tracking process. Because late payments remain the first reason for referral of the mediator and companies still cause a quarter of corporate bankruptcies, according to Altares. “Quite often, the slowness of payments comes from an order form that was not issued early enough by the large group or from a supplier invoice that does not contain all the information requested by the purchasing department”, says Evelyne Platnic Cohen, entrepreneur and specialist in key account sales According to a Barometer Arc-Ifop, 59% of executives believe that their commercial services are too reluctant to restart a big box, for fear of losing or damaging their relationship commercial. Co-founder of Acreos, Eric Pierson wins his contracts by taking care of his buyers approach. – © Acreos. 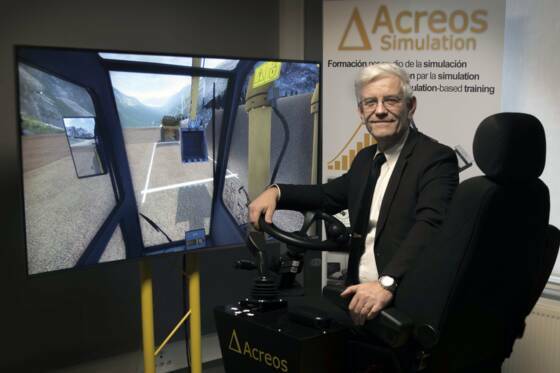 Acreos (simulators driving construction equipment): exploit the snowball effect! 33 employees, turnover 2017: 3.1 million euros. Acreos works with Vinci and Bouygues. Then, it is necessary to convince very quickly: “The door of a large client opens only if he is convinced that he will realize a real gain in productivity.” For this, it will have to provide him ” concrete examples of application, “says Gilles Cochevelou, digital director of Total, who expects a” Eureka effect “from small companies who request it. “The emails we receive are too general,” he explains. A business proposal must address our strategic topics such as new services, cost reduction, or improved security. “Another card to play is to use the positive feedback from the first customers to try new ones. After signing with Auchan and BlaBlaCar, Howtank (community-to-consumer chat) tackled Sarenza and Sephora. “A first success reassures the big groups”, testifies Johanna Bar, the general director (read below). 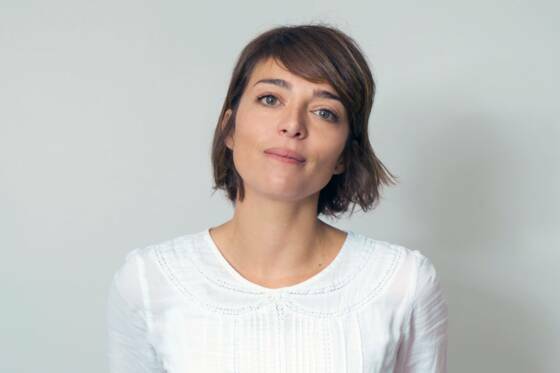 Johanna Bar, is CEO of Howtank. – © Howtank. 10 employees, turnover: NC. Howtank works with Sarenza, Auchan, Sephora, BlaBlaCar. Specialized in forums around major brands, the platform has an interest in treating its customer relationship. “Large groups expect more relationship and reporting than small boxes. They need at least one quarterly follow-up and a newsletter about our business, “said Johanna Bar, CEO of Howtank. If you want to conquer these titans, look for profiles that speak their vocabulary. To sell their electronic signature solution to Crédit Agricole, PMU and Carrefour Voyages, Luc Pallavidino and Antoine Louiset, the founders of Yousign (3 employees), have teamed up with Eric Chevalier, a seasoned salesman. Before the latter joined them, the creators mainly addressed SMEs. “I advised them to change their offer, which was not suitable for large accounts, explains Eric Chevalier. To interest them, the application must be personalized, simple and fast. “Before approaching Fnac Darty and Leroy Merlin, Netatmo, the French nugget of connected objects, has also appealed to commercial with a good experience of large retailers. “They know this world at their fingertips and have negotiated the training of sellers, the returns in stock and the rate of the back margins,” recalls Fred Potter, the founder. Once the contract is signed, the monitoring of the commercial relationship is of paramount importance. “We must rely on the processes of our customers, set up a steering committee and draft procedures in case of problems,” said Lionel Baraban, co-founder of Famoco, one of the leading SMEs in contactless payment (100 employees). Left to hire key account managers with commercial and operational experience. “A big group is not a customer like any other. Offering him a single interlocutor is a guarantee of efficiency, “says Catherine Pardo, professor at EM Lyon. Before you go to large accounts, check that the game is worth it. By asking you, in particular, how your offer will not serve as a one-shot showcase to a large account lacking innovation. “Pocketing 40,000 euros to prepare a comex for new challenges is tantalizing, but if it takes time to develop the pilot of a project that will ultimately never be deployed or will not win other customers , then, I refuse, “arms Lionel Baraban. “Beforehand, therefore, find out about the budget your target is ready to put on a proof of concept,” recommends Robert Kalocsai, treasurer of Innovation and Enterprise, a club that brings together start-ups and large groups . Another warning: determine the duration during which you will be put to contribution, you thus avoid to embark on pharaonic and time-consuming projects. At Yousign, Eric Chevalier negotiates drivers including a dozen users for several months, but with the obligation of feedback on which he relies to reassure the big account and move faster. The contract may be signed, the hardest is yet to come: will your production capacities be up to snuff? This new market is not likely to explode your box? “After securing an agreement to provide insect-based snack cakes at Nature & Découvertes’ 85 stores, we had a month to deliver tens of thousands of products to their central purchasing department. Fortunately, we had anticipated increasing our stocks as soon as negotiations started. 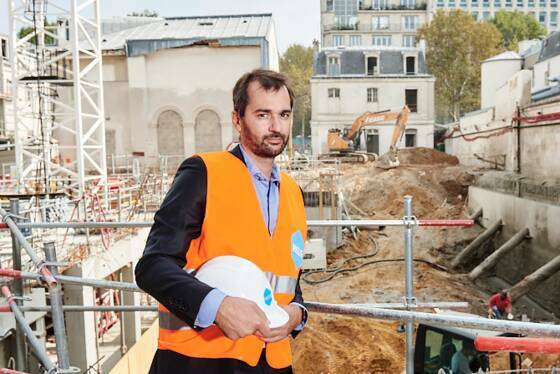 Our machines were well calibrated, but not our team: we used temporary and overtime, “says Clément Scellier, co-founder of Jimini’s (read below). 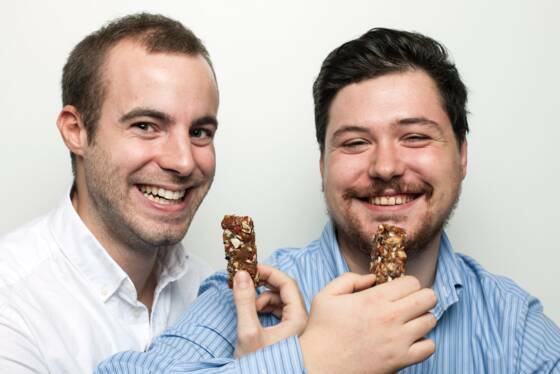 Clement Scellier and Bastien Rabastens (right), the founders of Jimini’s. – © Nicolas Chest. 17 employees, turnover 2017: 2 million euros. Jimini’s works with Nature & Découvertes, Carrefour Spain. It’s not easy to be referenced when you offer insect-based biscuits. By dint of perseverance, Clément Scellier and Bastien Rabastens managed to hang Nature & Découvertes. “We negotiated hard for six months before they agreed to take four products,” they say. But the game was worth the candle: their snacks are distributed throughout France for two years. When we approach a giant, we must know how to reconfigure. Especially since it can be paying off. Thus, Hesus (see below) has changed its service when Bouygues asked him to rid his sites not only of the earth, as expected, but also other materials such as crushed concrete. And it’s worth investing. “When you signed with a big group, you did the hard part. The next shot is to copy and paste, “says Arnaud Legrand, president of Energiency (software analysis of energy consumption of factories), a company of 24 employees who works with the equipment manufacturer Faurecia. The SME of Emmanuel Cazeneuve was armed with patience to seduce the big ones of the building. – © Bertrand Noël for Management. By offering construction companies the chance to get rid of their construction waste, Hesus had to convince both the construction heavyweights and those of the recycling of cements, excavated concrete, etc. “Without having access to their reprocessing centers, and at competitive rates, we could not hope to win major customers,” says Emmanuel Cazeneuve, creator of the start-up. Restoring the balance between David and Goliath finally means rejecting excessive clauses. At the head of Hydroprocess, a nine-person SME specializing in high-tech machines used by malabars in the food industry such as Kraft Foods and Pasquier, Michèle Dereims firmly rejects late delivery penalties that are attempted. sometimes to impose on him. “We produce for them prototypes never made before and which require the transmission of a large amount of information to be validated on several levels. This therefore always requires more time than originally estimated. Some threaten to break the contracts? I’m good! “Says the one who is accompanied by a lawyer at each negotiation. 1. Forget impersonal e-mail and constant phone calls to find the right speaker! Privilege your personal network and direct contact at trade shows and conferences. 2. Study their strategic plan, the markets they want to develop, their current customers, to highlight what you will bring them. 3. First target a subsidiary or operational unit before attacking headquarters. 4. Do not be afraid to tell them about their budget. Even a proof of concept should not be charged at a discounted rate. 5. Stay on your guard. With a multitude of decision makers, nothing is ever finalized before the contract is signed. 6. Give them relationship and reporting: that’s what they expect from you. 7. Be unyielding about intellectual property and late payments.